Bring your gear along for the ride. The Rambo Bike Single-wheel Trailer offers any easy way to carry provisions on your excursions deep into the backcountry. This Trailer is built to handle tougher train and narrower trails. 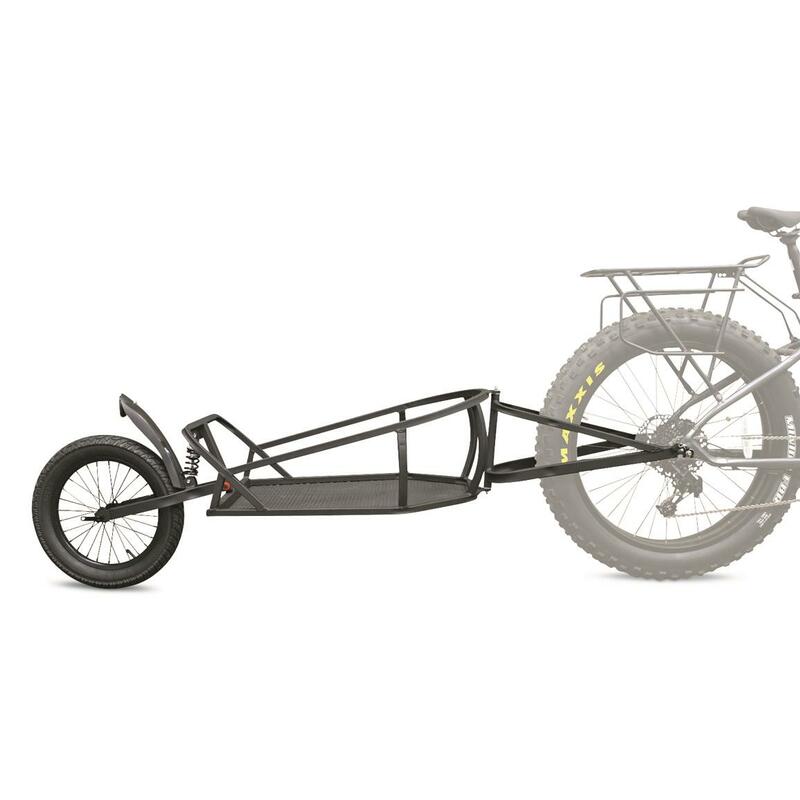 It follows close to your bike and it's lower profile allows you to load the basket with up to 50 lbs. of gear. It's the perfect add-on to maximize your use and enjoyment of your Rambo Bike. 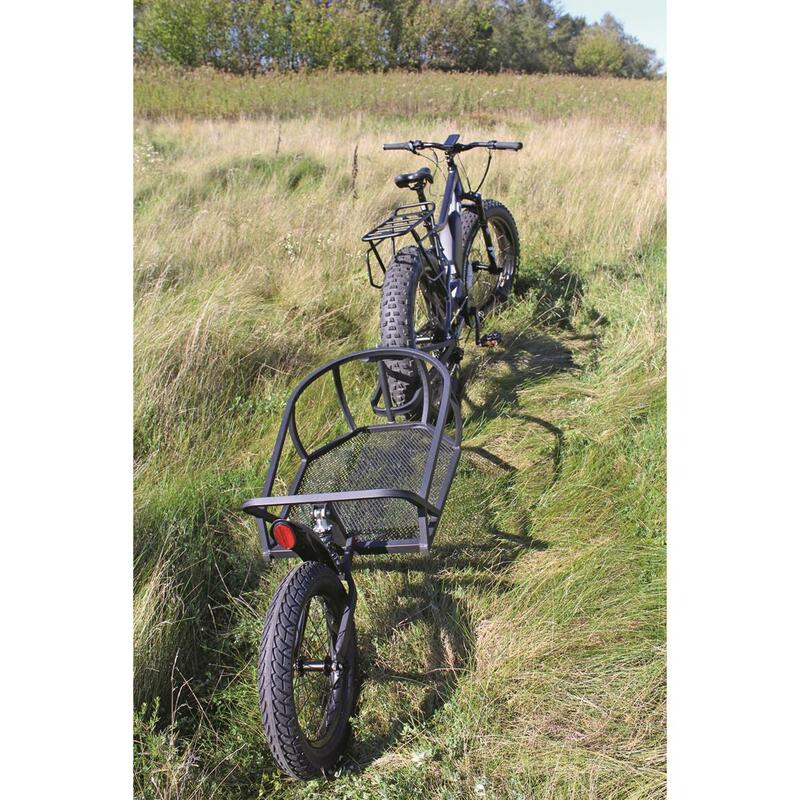 Tire Size: 16" x 3"
Basket Dimensions: 25.25" x 18.75" x 11.25"h.
Rambo Bike Single Wheel Trailer is rated 5.0 out of 5 by 1. Rated 5 out of 5 by Ohiomitch from Very well built Great cart for those "cow path" trails the single lanes. Can still get a good amount of stuff on it and also rides very well behind the bike.